The Lauric Acid in Extra-Virgin Coconut oil kills of fungi and bacteria helping you fight viruses. 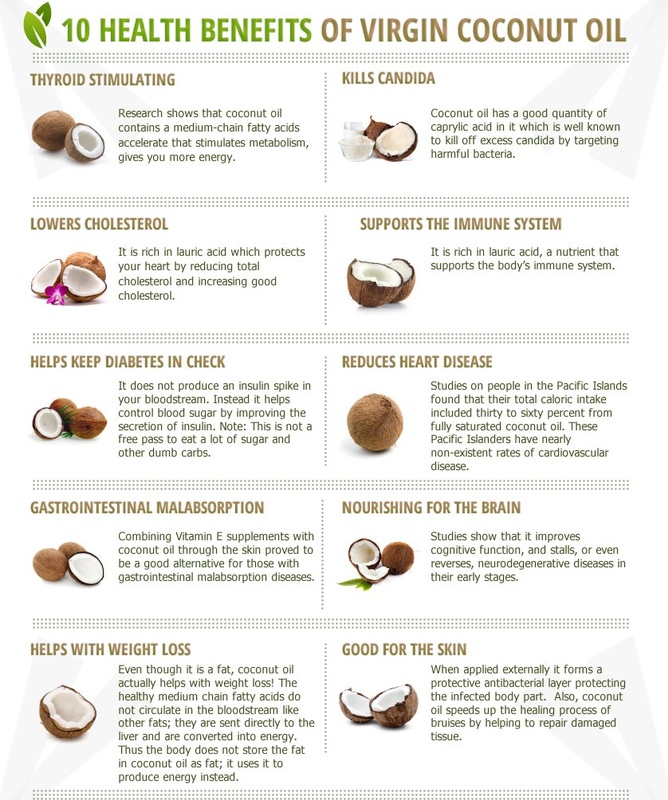 Coconut can help kill hunger, without you even knowing (drinking this before you eat can make you eat less and the fatty acids help reduce your appetite. The oil can help reduce heart disease by lowering your cholesterol. It’s also amazing for your hair skin and nails. Use it daily onyour face to reduce the appearance of fine lines and wrinkles. The fatty acid also increases brain cells to reduce Alzheimer’s. 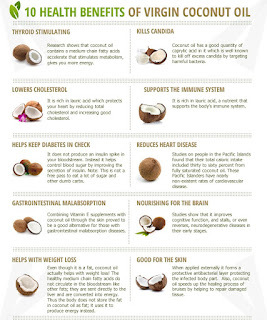 The most dangerous kind of fat is the kind that is in your belly…coconut oil reduces abdominal fat. This is such an inexpensive, non-dangerous way of burning stored fat, reducing your appetite and increasing your energy! Pair this with a healthy diet, workout and Shakeology and you'll most definitely see results in your physical and emotional well being! NOT a huge fan of “Drinking” the coconut oil? Try heating it up for a few seconds and making it more liquidy to it goes down smoother OR you can also replace your butter with this as the spread, add into your daily shakes or oatmeal!